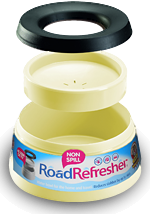 The Road Refresher is an ingenious non-spill pet bowl that eliminates spills and reduces your pet's slobber by up to 90%. 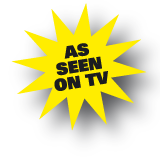 Ideal for the home and all forms of travel. 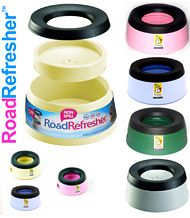 On The Move - Road Refresher non spill pet travel bowl can be filled with water and then safely left within a car so your pet has access to fresh water whenever he wants, yet none will spill. 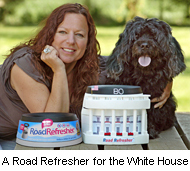 With The Road Refresher pet travel bowl your dog can arrive healthy and refreshed wherever you go. Diameter of base 242mm x height 102mm. 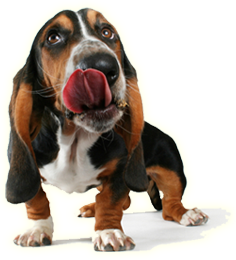 The diameter of drinking hole 120mm - your dog will think he is drinking from his favourite dog bowl so no extra training required.